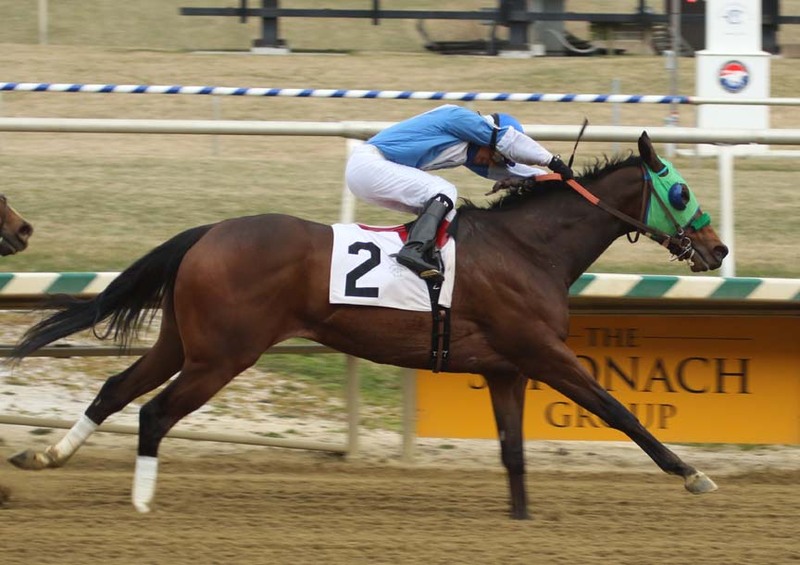 Four-year-old Lewisfield simply denied all challengers, fighting off bids early and late to secure a one-length victory in Saturday’s $75,000 Not for Love Stakes for Maryland-bred or -sired runners three-years-old and up. It was the first stakes win for Lewisfield, who now has five wins from seven career starts. Lewisfield, beaten four lengths by Struth in his stakes bow in December, zipped to the early lead under jockey Arnaldo Bocachica and held a head advantage over Struth after a half-mile in 45.06 seconds. But that rival put his head in front at the furlong marker, while It’s the Journey was revving up a late run. But Lewisfield, trained by Jeff Runco, turned Struth aside and held off the late rally of It’s the Journey to earn the victory. It’s the Journey finished second, and Struth was third. Sonny Inspired, 91-1 at post time, rallied for fourth. Running time for the six furlongs was 1:09.13. “He’s pretty good. He’s really coming into himself right now. We had to kind of bounce him out of there a little bit today being down on the inside, so I told Arnaldo (Bocachica) in the paddock to let him bounce out of there and put him up there close or put him on the lead. He’s game, he’s always going to give it his all.